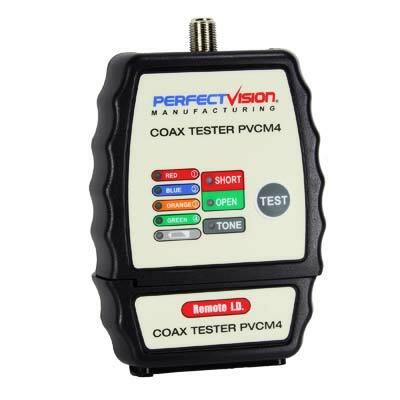 The PVCM4 Coax Tester is a small, hand held tester, designed for CATV, Satellite and security system installers who test multi-run coax systems terminated with F-connectors, or those who wish to map runs to a central bundle. It has the ability to put a tone signal on a coax cable, which can be traced using an audio frequency toner tracer. With four unique identifier test terminators, it is ideal for mapping coax installations.